As we head into the New Year, we are starting to ramp up our International offerings. We are also getting ready to start our promotion of this year’s Real Estate Investor Tours, which will also take place in Greece this summer. Stay Tuned!!!! Includes in unit laundry and basement storage. Complex includes shops (Bakery, pharmacy, bank, clothing store, mini market and Fitness center). 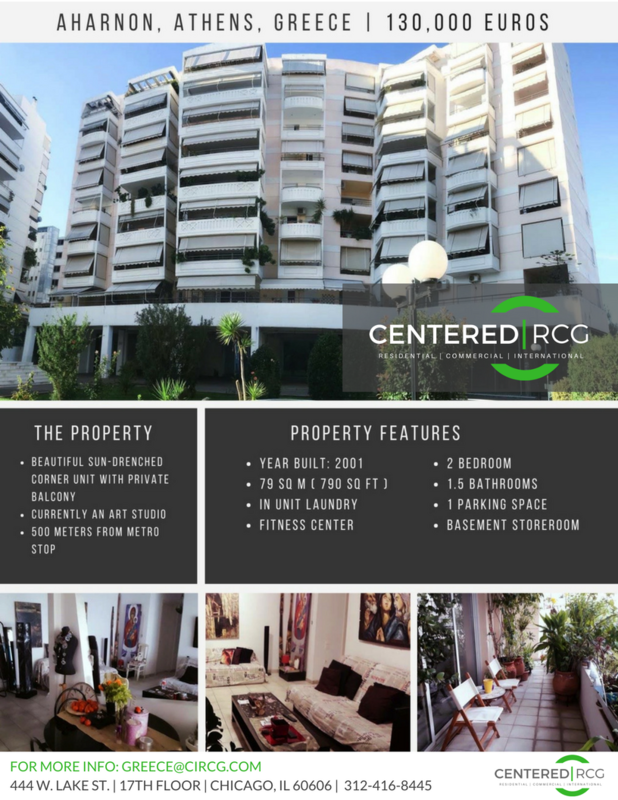 Great location, 7 stops (10-15 minutes) to Syntagma square.